some seriously hands on ladies! Wow, bloggers are so creative...off to check out those projects I haven't seen before...So cool. Thank you Danika for the shout out! I love the other projects you posted. Thanks for sharing these. 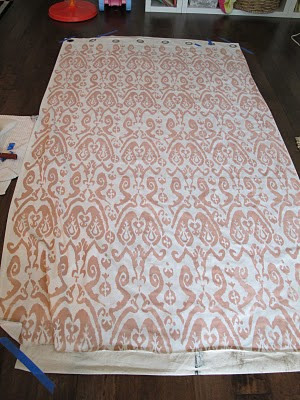 I love ikat...especially pink !! 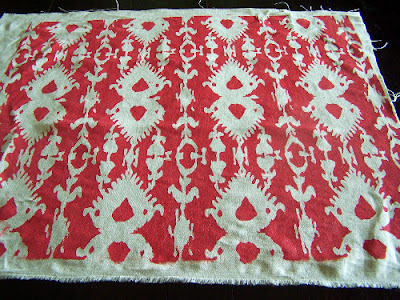 I am obsessed with block print fabrics and have tried doing it recently... will need to send you a pick. Oh honey, these are fabulous. I'm attempting something with fabric marker. 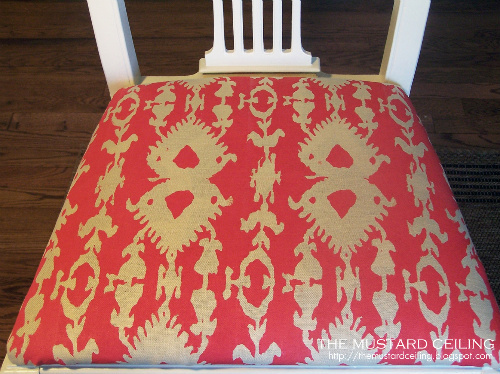 I, too, am so impressed Elizabeth's ikat fabric for her DR chairs!! Love the pattern and color. I'm currently working on a stencil project and hope to reveal next week!! Also, thanks for your kind comment today! It's never easy being vulnerable! These are some serious talented bloggers! 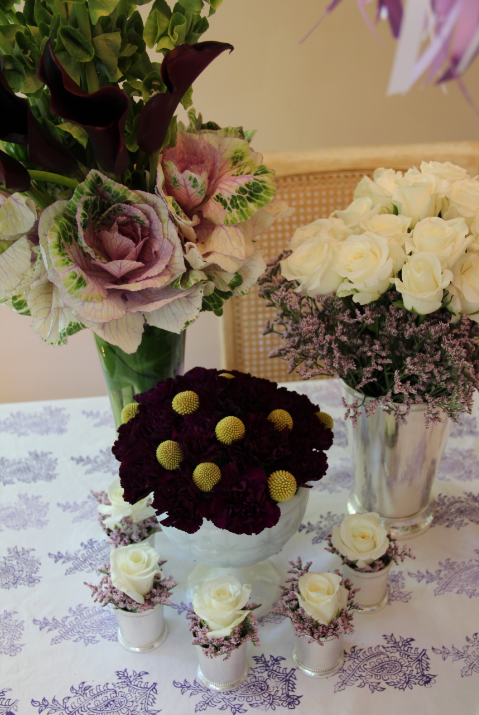 Every project looks amazingly fabulous! All of these look sooo professional! I love them all! Thanks for including me hun! 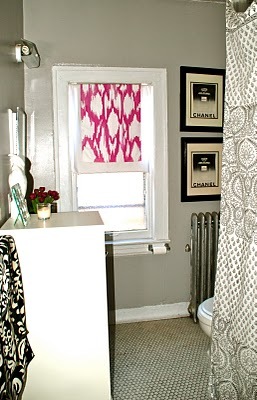 Pink ikat is the perfect way to wake up in the mornings :) The other examples are gorgeous. 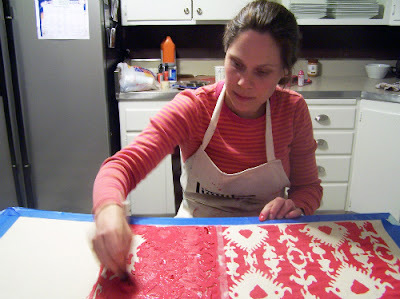 Sidenote: The hand painted (dyed) fabrics you did for your kitchen seats- How are those holding up? 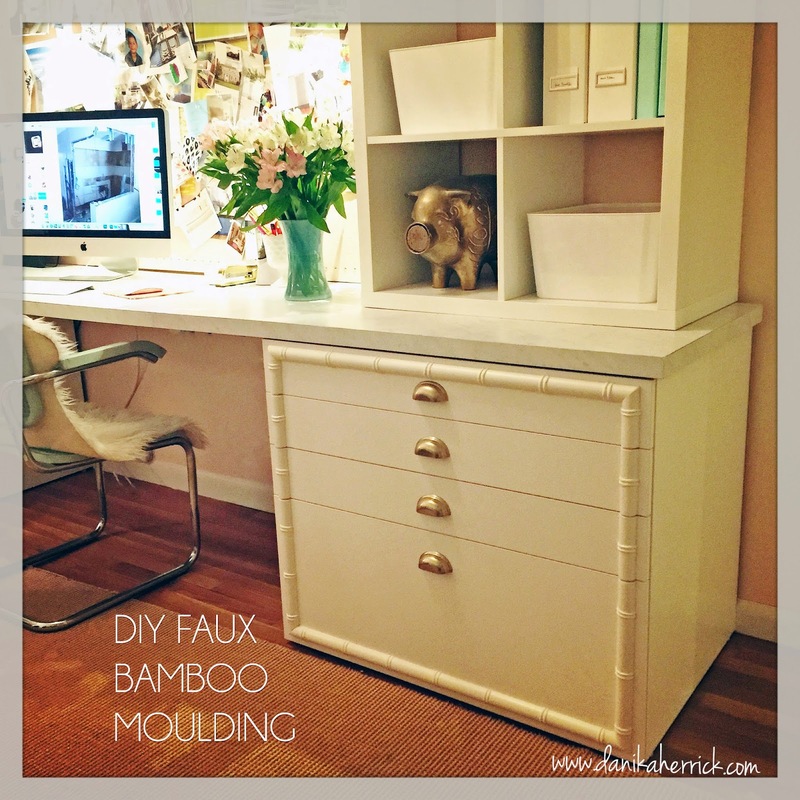 I'm thinking about tackling a similar project but am afraid guests wearing white pants will leave my house with trousers of a different hue after sitting at my table. I'd love to hear how you set yours! The cushions have held up great. I never set mine and they haven't bled. I did hit them with scotch guard because my three year old got craisins mashed into one. 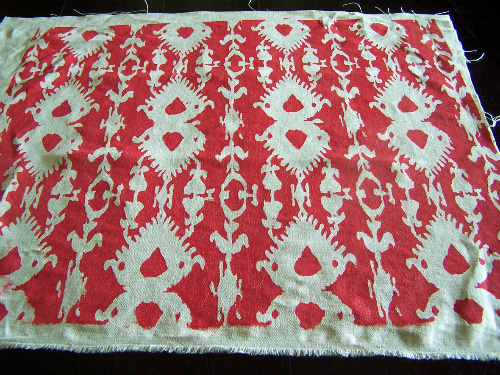 ( Iwashed it in cold water and air dried it for fear the fabric would shrink. They say you can set it with dryer or iron. Dye-na-flow is the bomb! Thanks for including my curtain panels! The Mustard Ceiling's fabric via her own diy stencil is so good! I'm actually featuring her dining chairs on my blog tomorrow!